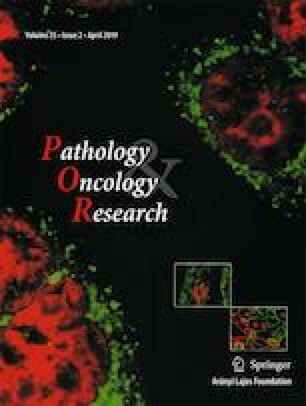 The aim was to expound the pathogenesis of prostate cancer and to identify the potentially biomarkers for prostate cancer (PC). DNA methylation microarray data GSE38240 containing 8 prostate cancer metastases and 4 normal prostate samples as well as gene expression profile data GSE26910 containing 6 prostate primary tumors and 6 normal samples were used. Differentially expressed genes (DEGs) and differently methylated sites of PC were screened and the regulatory network was constructed with DEGs-related transcription factors (TFs). The obtained hub genes were subjected to protein-protein interaction network analysis. Enrichment analysis of down-regulated DEGs were performed. Total 351 DEGs including 190 down-regulated and 161 up-regulated genes and 3234 differently methylated sites were identified. In total 69 DEGs-related TFs were found. Regulatory network contained 1301 nodes and 2527 connection pairs and that FOXA1 (forkhead box A1), BZRAP1-AS1 (benzodiazapine receptor associated protein 1 antisense RNA 1) and KRT8 (keratin 8) were the top three nodes of it. The enriched GO terms were mainly biological activity of the blood and cells-related. Total 29 DEGs (such as AGTR1, angiotensin II receptor, type 1) and 57 none-DEGs involved in the PPI network. Biological functions in blood circulation and the involved AGTR1 may play important roles in PC by gene-methylation. Besides, BZRAP1-AS1 may be novel biomarker related with PC.